Due to the heavy rainfall this winter, California State and National Parks and Heritage Sites are under threat of serious structural damage, mud slides and land erosion. This year we have seen more rain than we have in the past ten years which comes with both benefits of coming out of a severe drought and the loss of living historical sites we won’t be able to bring back to life. Though hundreds of thousands of visitors from all around the world come to visit these sites on the daily, it is still not enough to fund and maintain parks such as Bodie State Park. 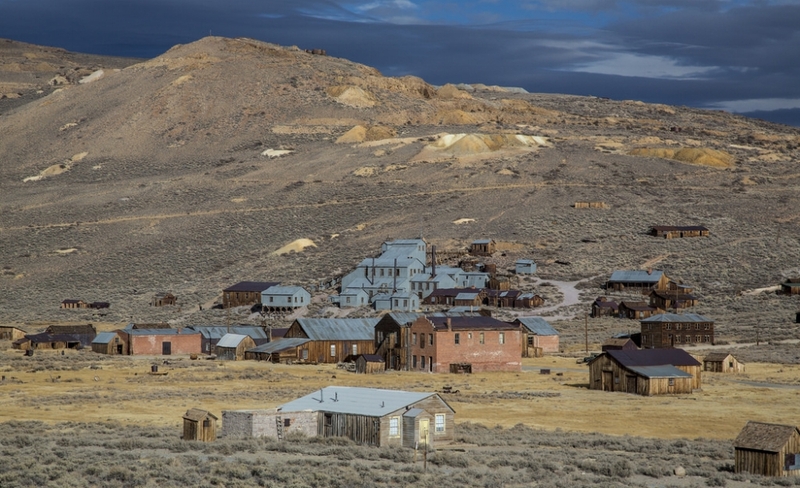 Bodie is known for being “a genuine California gold-mining ghost town. Designated as a National Historic Site and a State Historic Park in 1962, the remains of Bodie are being preserved in a state of "arrested decay”” (http://www.parks.ca.gov/). Federal and state budget cuts prevent the funds necessary to properly staff each park with a designated site archaeologist and historian. “Depending on the site’s size, and the amount of revenue a site brings in determines the ratio of archaeologists to site; which can be 1 to 1, but more likely, a 1 to 23 ratio” Angel Island State Park Superintendent, Amy Brees shared with me at a fundraising event. 23 site for one person to oversee is an overwhelming notion. The recent rains have taken their toll on Bodie as one of its more famous free standing brick buildings has collapsed. Currently there are no plans to resort the building to its former, if not prime state. If you are interested in visiting great sites such as Bodie, with its rich scenic landscapes and deep histories, check websites for best dates and times to visit. You can also donate and volunteer your time to ensure these historic sites continue to awe and inspire future generations.